Our Alameda County ranch, like most ranches, has a variety of habitat types – oak woodland, oak grassland, riparian and chaparral. One thing that’s clear to me is that hill ground is much less receptive to management than valley ground. Our delta property responds quickly and dynamically to mechanical manipulation, herbicide use, water and grazing. In the hills, mechanical manipulation is not practical, herbicides have limited use and water is scarce. 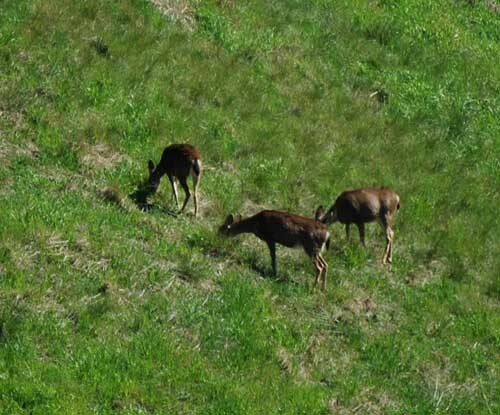 That leaves grazing as the main method of manipulating habitat. Somewhat imprecise, grazing does have a huge impact on the quality of wildlife habitat and the results are often not intuitively obvious. One hears and reads diverse comments about cattle grazing. And, without any personal experience on which to base an opinion it’s pretty difficult to extract the truth. Not only is the truth somewhere in the gray area, but to make matters worse, it is also variable and inexact. Here are some observations. Too much grazing is probably better than too little. One of the worst scenarios for native oak woodland and oak grassland habitat is to remove grazing. When this happens, non-native grasses (often referred to as European grasses or annual grasses) tend to create a solid mass of vegetation that chokes out other plants and limits the ability of native creatures to survive. The native or original habitat in our coastal mountains consisted of bunch grasses that left natural openings between plants. This is the habitat that our native creatures evolved with, including blacktail deer and other native game animals. Openings between plants allow small broadleaf plants to grow and deer feed heavily on these small broadleaf plants (forbs), especially in winter. Unfortunately, a lack of grazing allows non-native grasses to choke out forbs, but a heavy dose of grazing in springtime allows forbs to compete. Some of the plentiful forbs in our area are clover, vetch and filaree. These plants get a head start over the grasses in late winter, but if the ground is left unmanaged they are soon overwhelmed. In areas without grazing, the grasses tend to get thicker each year and after a couple years it’s difficult to find any broadleaf plants at all. Some of our local endangered species seem to do well with fairly heavy grazing. The California tiger salamander and California red legged frog, do well with moderate grazing but the burrowing owls seem to choose squirrel burrows for dens in areas with heavy grazing which may allows them to avoid predation. It also appears that properly managed grazing makes life easier for many rodent species, like mice and kangaroo rats which are key foods for small predators like coyotes, foxes (including the endangered kit fox) and bobcats. Some birds, like horned larks, tend to hang out in areas that are denuded of vegetation such as along roads and where cattle have grazed the ground bare. If you’re a hunter, you might not be too worried about endangered foxes, but keep in mind that property values increase when you maintain a healthy population of wildlife, especially endangered species. You may someday find that taking care of these species will pay off in the form of opportunities to officially protect them in the form of mitigation. Managing grazing is pretty basic stuff. You put the right number of cattle on at the best time and take them off when you’ve reached the desired level of impact. Range managers and use the term “residual dry mass” to measure the left over plant material when the grazing regime is over. Residual dry mass is the weight, per acre, of the plant material left behind at end of the grazing period. Obviously fences are a key element of managing cattle. Being able to move cattle around gives the manager flexibility. Your ability to manage the cattle to benefit wildlife versus income is another factor. If you need to bring in every possible dollar for your grazing, you’ll be turning the decisions over to your lessee. Sometimes leaving decisions up to the lessee can create a “get it all” mentality leaving nothing to improve the habitat for wildlife. Water development is another key element of wildlife management. We recently looked at a ranch that had all its water sources diverted into water troughs. The thinking was that as a cattle ranch, the stock would be healthier with clean water sources. That thinking was OK at the time, but nowadays wildlife resources have great value, not only from a game animal standpoint, but from the native species and endangered species standpoint. 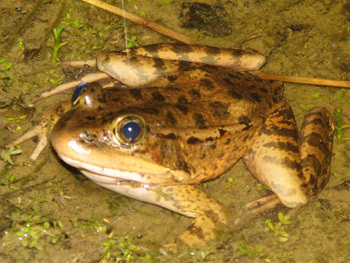 Ponds provide key breeding areas for amphibians. In our area, the key endangered species are the California red-legged frog and California tiger salamander. Stock ponds provide breeding sites and also recharging areas. These critters leave the ponds and spend much of the year in ground squirrel burrows or under logs, but without ponds, they cannot breed and they cannot withstand the heat of summer. Here’s another tip on what not to do if you want to maximize wildlife values on your ranch. Don’t import fish or bull frogs. Yes fish are fun from a recreational standpoint. If fishing is important to you and you have a pond large enough to create significant fishing opportunity that’s great, but keep in mind that you will lose that water structure as an amphibian breeding site when you introduce fish or bull frogs. It’s a trade-off you’ll want to consider closely. Fish provide great recreation, but they’re tough on amphibians. Hello Mr. Fletcher, My name is Ryan Johnson. I am a Rio Vista native, as is my father Morgan. My dad used to own land on Sherman. Anyway, I just finished the spring semester at Sacramento State University and I am currently looking for a summer job. I grew up working with my dad every summer, so I am comfortable on a farm/ranch. I also have knowledge about ducks, including what sorts of habitat they like and what they eat. 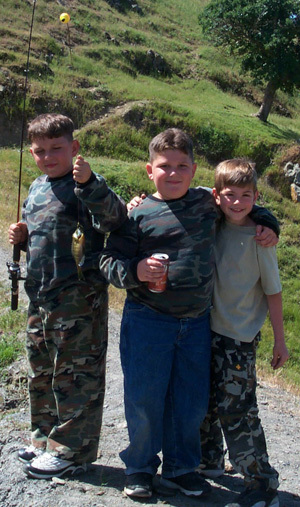 I’ve been hunting since I was quite young (My brother and I have a blind in Liberty).